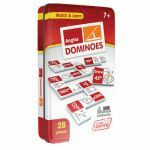 Angle dominoes include a 28 piece set on thick plastic dominoes. 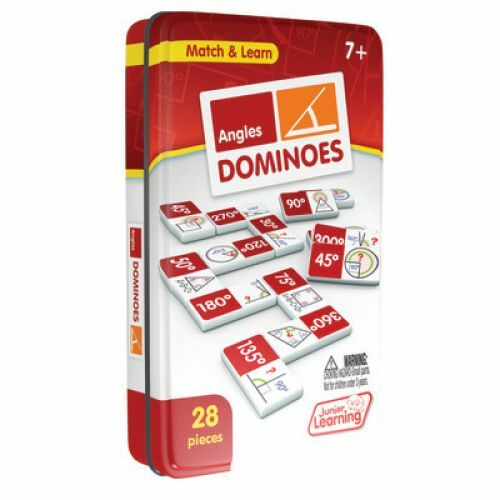 Dominoes come in a collectors tin for storage. 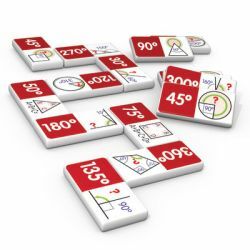 Children will love the feel of real dominoes as they complete the angle matching game.